Get to Know the Unique Culture and Sites of Austin with Sam’s Limousine! With an area of 810 square kilometers and nearly one million residents, this capital city of Texas is an area rich in history with deep European and Mexican cultural roots. 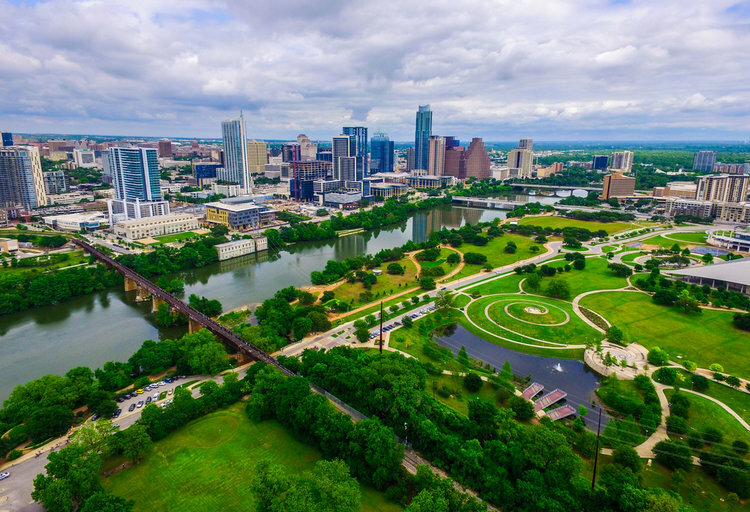 Originally settled in the 1830s, early settlers included mostly German, Swedish, and Mexican transplants, and their strong influence is very much alive and well today in modern-day Austin. 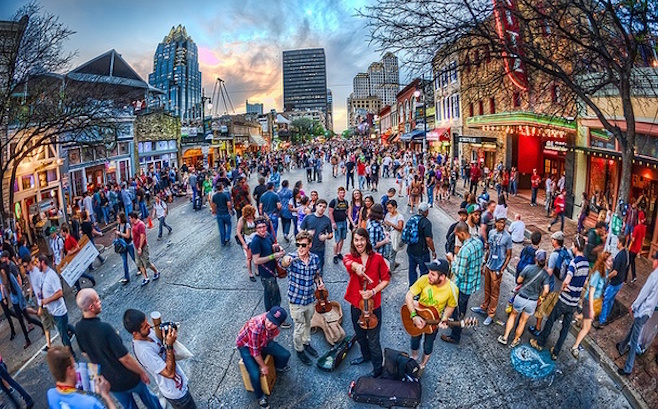 It’s especially evident through the aptly named, “Keep Austin Weird,” a local movement dedicated to the kitschy creative scene that attracts so many to this cultural hub. Every day, the uniformed drivers of Sam’s Limousine cruise these roads on our way to and from Austin’s most beloved landmarks. As your trusted tour guide, we can offer you a safe and reliable tour, complete with insider extras and tips that only Sam’s Limousine can provide. The only question is which tour suits you best? For a full immersion of culture, the Mexican American Cultural Center celebrates the vibrant influences of Mexico, while the George Washington Carver Museum and Cultural Center is a celebration of the soul and strength of the African American community. No tour would be complete without a visit to the gem of Austin’s downtown district, the historic Driskill Hotel. Even with you don’t have the budget for an overnight stay, it’s worth visiting the hotel for a whiskey cocktail at the Driskill Bar, one of America’s top 10 bars as rated by USA Today. When night falls, we’ll venture over to the Moonlight Towers, a group of 14 working towers scattered throughout Austin’s hillside. These make up the only known operating light towers in the entire world and are an homage to early technological advances in outdoor lighting. And of course, pop by the picturesque Mount Bonnell, a long-time local favorite that’s perfect for an afternoon picnic or sunset proposal. These kinds of tours often require extended periods of time in the car, so make comfort is especially key. For more intimate tours, choose a stretch limousine or SUV limousine with sumptuous leather seating for up to 16 guests and stargazer fiber optic lighting to enhance your journey. Museums are the perfect activity for large groups to team up for a day of adventure and discovery, but that means you need a lot of room. 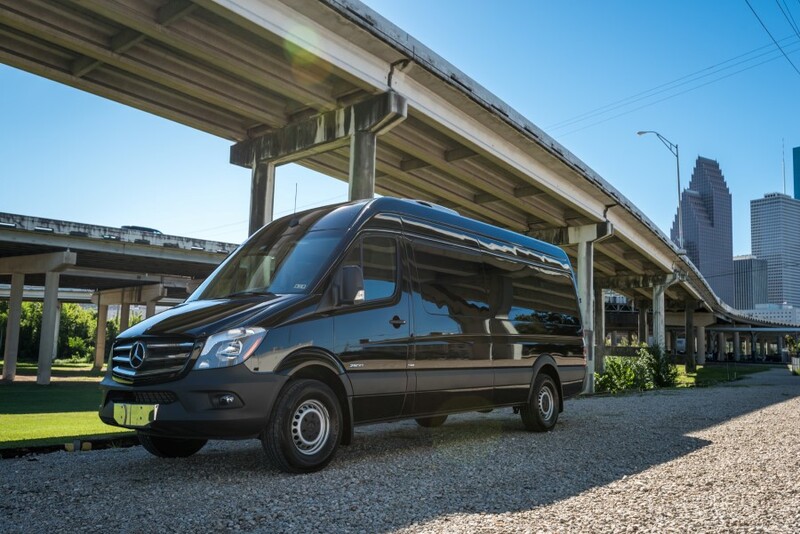 A Mercedes sprinter van is great for smaller groups of up to 13 passengers, with flat screen TVs and iPod/MP3 connectivity for quick refresher videos in between museums. Larger groups will enjoy the comfortable indulgence of our luxury charter bus, with convenient amenities like complimentary Wi-Fi, electrical and USB outlets for easy charging in between stops, and sumptuous, reclining seats for up to 56 passengers. The University of Texas Austin also offers its Performing Arts’ Bass Concert Hall. For a more glamorous experience, select an upscale sedan for black car service from Sam’s Limousine, perfect for date night or creating a red carpet-worthy entrance at the next big society event. Larger groups will appreciate the comfort and luxury of a mega limousine or party bus to transport you and your closest friends to the after party in style. With the unique ability to customize your personal tour itinerary, you have the option to custom-tailor each experience to your liking. Want an extra hour at the Umlauf Sculpture Garden? Want to forego one stop for another? Just work with the friendly team at Sam’s Limousine to build the perfect trip for your group. Avoid exorbitant parking fees which quickly become unaffordable the more stops you make. No worries about parking or long walks – your uniformed and professional driver will safely drop you curbside so you can make that headline-worthy arrival. As long-time residents of the great state of Texas, and Austin in particular, Sam’s Limousine has the knowledge that only locals can acquire, that intimate familiarity with the busy neighborhoods and quiet back roads of our sprawling metropolis. From VIP tickets to early seating and private, behind-the-scenes tours, Sam’s Limousine will create the custom tour experience that you will never forget. 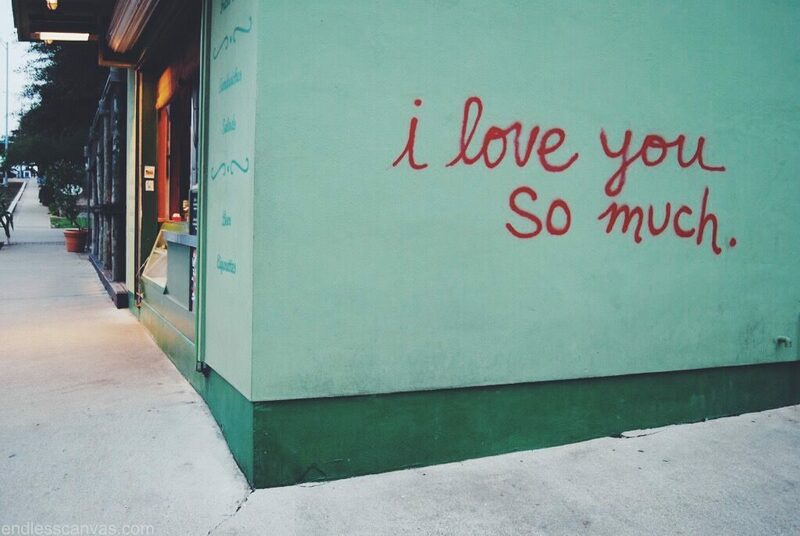 There’s no place like Austin, and we’re here to prove it to you. Keep Austin Weird, friends, and call Sam’s Limousine today!